Four Stunning Settings and the Persian Rugs to Recreate Them - Persian Rug Co. It's easy to be inspired by the endless beautiful home design imagery featured on sites like Pinterest and Houzz. Talented designers of the world have embraced the trend of combining traditional rugs with contemporary furnishings to create stylish spaces with unique senses of culture and comfort. 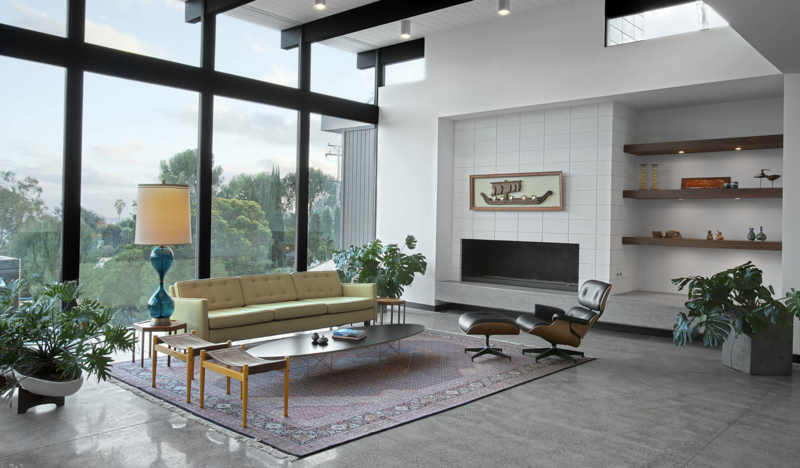 For this blog, we have included a collection of four of our favourite living room settings, and identified, with listed examples, the traditional rugs that have been used to create them. 1) The unique field colour of crimson red is the identifiable feature of Mashad Persian Rugs. Over time this colour oxidises to a muted pink tone which is balanced by inky blue borders and highlights - this attractive and calming colour palette makes vintage pieces especially popular for decorating in a contemporary setting. 2) Bakhtiari rugs are densely handwoven on strong, rigid foundations. They are rustically beautiful and ideally suited to timber-rich settings. 3) The finest Afghan Kazak rugs are handwoven using lustrous Ghazni wool. In light-filled spaces, this high-quality wool takes on a silky appearance. Natural vegetable dyes sparkle and add to an inviting and colourful environment. 4) Master weavers of Tabriz City, Iran have been weaving to the intricate and sophisticated Mahi Tabriz Fish Design for hundreds of years. Fine examples create a focal point in a large room and can be used to merge designer furniture into any setting. Styling by Nakhshab Development and Design. If you have found a captivating lifestyle image and would like some assistance in identifying a rug, please get in touch, and we'll point you in the right direction – we are happy to help!